We want you all to have a great time at Lakota. We aim to operate a clean and safe venue for all our guests. Please read our venue rules before coming to Lakota. Lakota operates a zero tolerance towards drug use. Our security operates a mandatory search policy, and we ask that customers kindly co-operate with such a request. Any failure to do so may result in refusal of admission. Any person found using or dealing drugs will be detained and the police will be called without exception. An indefinite club ban will also be issued. We also reserve the right to photograph any offenders and retain the photo on our files for banning enforcement. Undercover security operate in Lakota in addition to comprehensive monitored CCTV. From time to time there will be passive drug dogs at the entrance to the venue. There may also be uniformed police officers at the entrance and anyone found with illegal substances will be arrested. This policy is for the safety of all customers and staff and to ensure that Lakota remains open. Sharp objects such as scissors, needles, penknives etc. We reserve the right to refuse admission at any time. From time to time we conduct random searching of customers suspected of wrongdoing. We kindly request that you cooperate as you will be asked to leave if you do not. All nights and rooms in Lakota operate a minimum age policy unless otherwise stated in our publicity material. We operate Challenge 25. 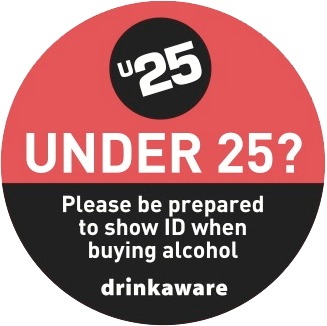 If you are lucky enough to look under the age of 25, you must bring suitable photographic ID with you. We accept passports, driving licences and an approved proof of age card. Please do not be offended if you are refused because you do not have ID – this request is to protect our licence and operate within the law. The minimum age for entry is 18 years old (except on under 18’s sessions). If you buy a ticket and you are refused entry as you do not have sufficient ID then you will not be given a refund. We accept the following forms of ID: Driving Licence, Provisional Driving Licence, Passport, Citizen Card. We will not tolerate violence to our staff or other customers. Any offender will without exception be banned from the club for life. We aim to operate a safe and happy environment for all our guests and staff. In the instance of violence we will detain offenders and hand over to the necessary authorities. We also reserve the right to photograph any such offender and retain the photograph for future banning enforcement. We want you all to have a great time when visiting Lakota, we ask that you conduct yourself in our venue appropriately and show respect to fellow clubbers and our staff. Drunken, disorderly or rowdy behaviour will not be tolerated. Please note that all unclaimed items from the Cloakroom will be passed onto Lost Property where they will be kept for three weeks only.